(Reuters) - Virginia Governor Terry McAuliffe has restored voting rights to almost 13,000 felons on a case-by-case basis after the state Supreme Court blocked his wider clemency effort, he said on Monday. The announcement by McAuliffe, a Democrat, came a month after the high court blocked an executive order issued in April that had restored voting rights to more than 200,000 felons who had completed their sentences. The order was seen as a possible aid in tipping Virginia, a swing state in this year's presidential election, in favor of Democratic nominee Hillary Clinton. Opinion polls have shown her leading Republican candidate Donald Trump in the state. McAuliffe said he had signed the restoration orders last week for almost 13,000 felons who had had their voter registrations canceled under the court ruling. The orders were mailed on Friday. "I am not content to condemn them for eternity as inferior and second-class citizens," he said in a ceremony at the Virginia Civil Rights Memorial in Richmond, the state capital. McAuliffe said state officials would continue to review cases. The names of felons whose rights were restored would be announced on the 15th of every month, he said. 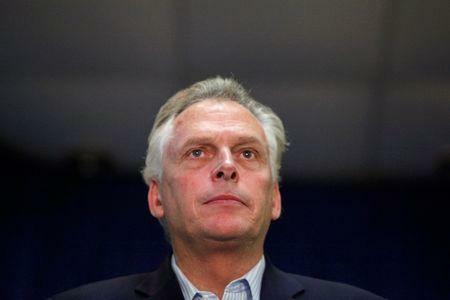 Republican legislative leaders had challenged McAuliffe's move in court. The state Supreme Court said McAuliffe had overstepped his clemency powers through his sweeping order. John Whitbeck, chairman of the Virginia Republican Party, said it had always backed restoration of voting rights on a case-by-case basis where deserved. "We're going to take a really long look at the individuals who had their rights restored, make sure he complied with the court order ... and from there decide what to do," he said by telephone. Many of the convicts who benefited were African-Americans or Latinos, two groups that have voted overwhelmingly for Democratic candidates in the past. President Barack Obama, a Democrat, won Virginia in 2012 by about 150,000 votes and in 2008 by about 235,000 votes. Virginia is one of four states whose constitutions permanently disenfranchise felons but allow the governor to restore voting rights, according to the Brennan Center for Justice, a non-partisan civil liberties group.